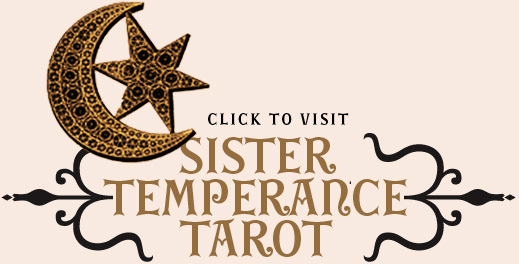 My, it’s been an age since I last made a foray into the world of Magic Windows! A majestic dead leaf moth in the stairwell of my jewelry studio. I don’t know the species name, alas. 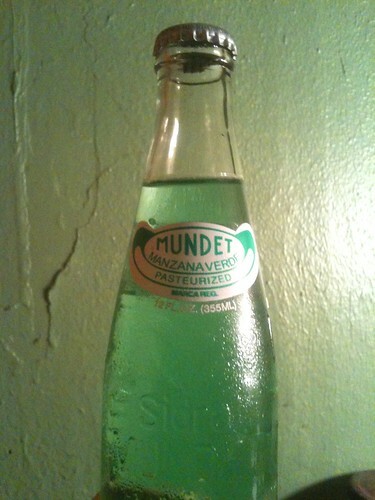 Sidral Mundet Mazana Verde – the prettiest, palest green apple soda ever. 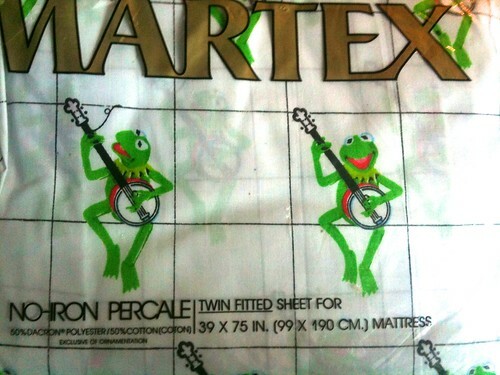 I could not resist these Kermit the Frog sheets at an estate sale. to put them on! 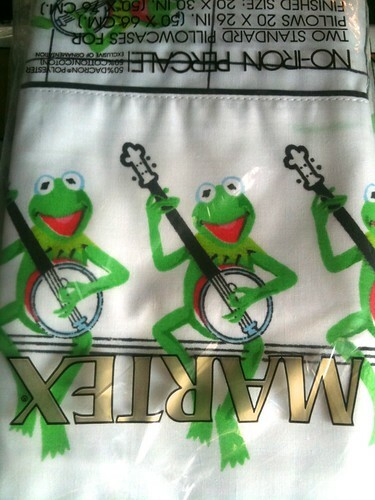 But I’m a sucker for a banjo-playing frog, man. 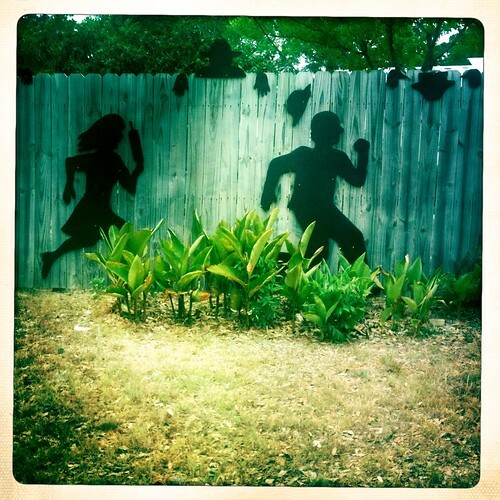 Weird shadows on a fence at another small-town garage sale. I was super creepy, taking pictures of their fence and all. Ha! hallowed springs, to become mermaids again – our hair streaming out like seaweed, our skin like gold. 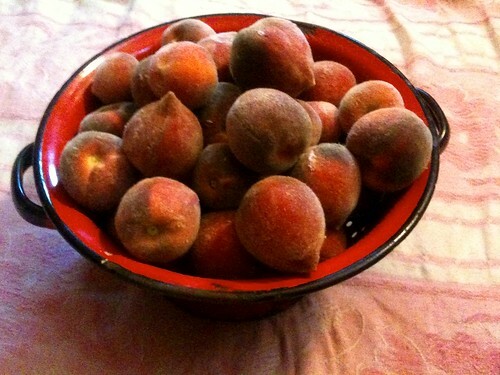 These peaches from came from our trees! you grew, eh? I love our miniature orchard. Take a bite o’ peach! 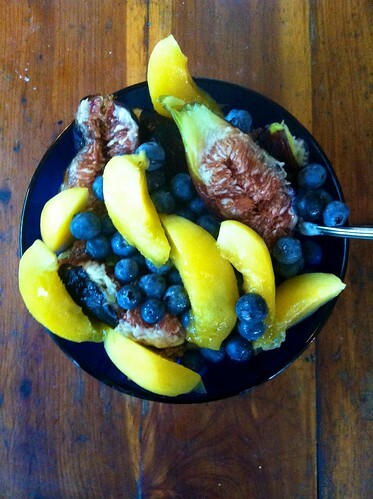 greek honey yogurt, blueberries, big ripe figs and sliced angelcots! 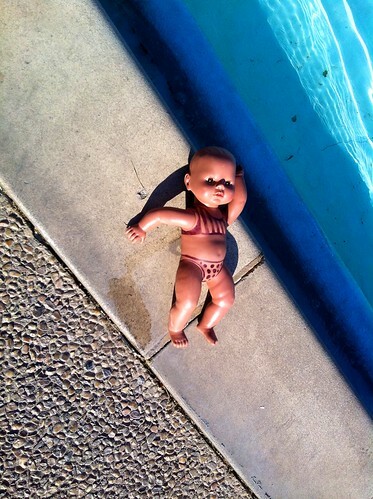 bitty polka-dot bikini lounging poolside at Deep Eddy. 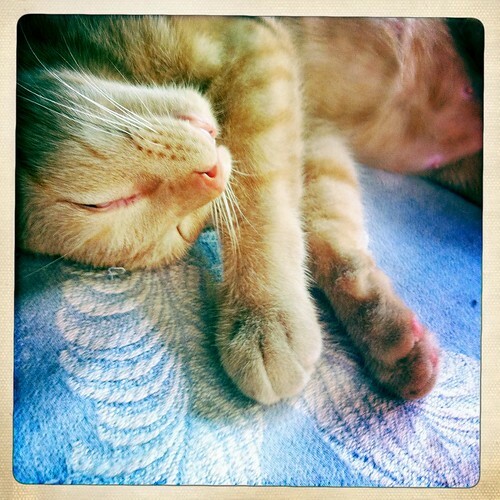 The eternal kitten (who these days we are mostly referring to as “Blinky”) teaches me that summer is for catnaps. Oooh! 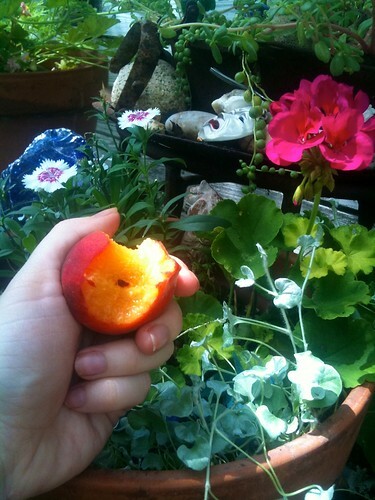 What is that gorgeous green bobbly-leafed plant in the peach-in-hand photo? 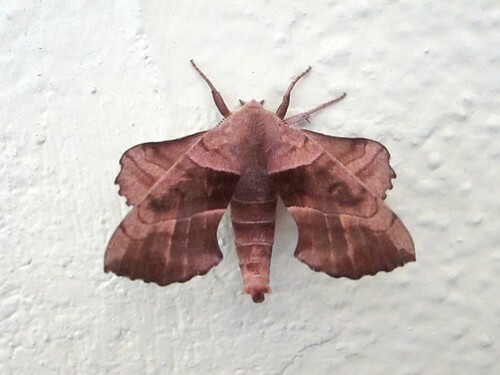 mothy looks like a poplar hawk to me. 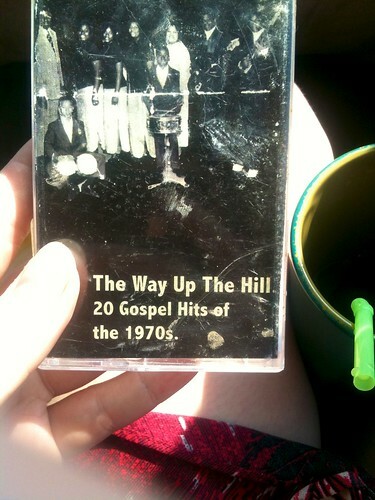 i grew one in a coffee jar full of earth last year when my love presented me with a caterpillar in a matchbox. called him ranjit. Lovely! I just realized I never answered your question from this post oh so long ago: the plant is question is one of my favorites – a silver ponyfoot. 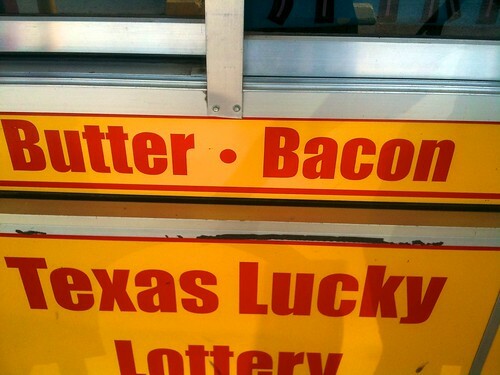 It’s a trailing beauty, and isn’t that just the best name ever?